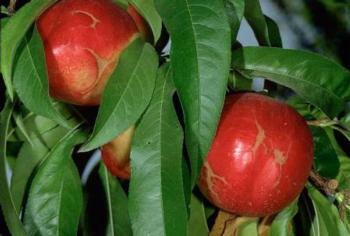 The primary emphasis of this project will be almond, peach, and nectarine production. Other crops to be included are almond, apple, apricot, nectarine, peach, pear, pistachio, plum and walnut. Many excellent examples of science-based pest management successes exist in California where high risk insecticides have been replaced by safer, environmentally friendly compounds and pest suppression methods (such as biological control, mating disruption, cultural methods and host plant resistance). These integrated pest management (IPM) practices can help growers meet current and future environmental challenges. This website will assist orchard crop growers and consumers in recognizing that pests can be managed economically while reducing risk to the environment and human health. The information is presented in video format to allow specific IPM practices to be demonstrated, and pests and beneficials, such as predatory mites and parasitoid wasps, to be viewed interacting with each other and with the host plant. In addition, personal testimonials by growers and pest management professionals who use these IPM practices will allow them to communicate with each other and with consumers.